According to the latest report of DRAMeXchange, a division of TrendForce, the price of server DRAM will continue to rise as the supply remains tight in 1Q18. Meanwhile, previous 2133MHz products will be overtaken by higher clock rate (2666MHz and 2400MHz) production, so high-bandwidth server modules will become the mainstream products. The server DRAM market has seen tight supply since 3Q17 due to the construction projects initiated by IDCs (Internet data centers) from North America. The demand has soared beyond expectation, leading to a price hike. In 1H18, DRAM makers could be conservative in production capacity plan, so the new production capacity will not be available until 2H18, resulting in tight supply and continuing price soar, at least in the first half of this year, according to TrendForce’s estimation. As for the quotes, the prices of DDR4 32GB RDIMM have been negotiated at US$300 except for those based on long-term agreement. DRAM module quotes that will be offered to second-tier server ODMs (customers) will be averaging around US$310, a quarterly 3-5% growth compared with 4Q17. Major server DRAM makers have been improving the manufacturing technology. Samsung will expand the wafer capacity of its 18nm process this year, while SK Hynix and Micron will both focus on 17nm and 18nm process, increasing the portion of high-density server modules in their production. In terms of competition strategies, Samsung’s major plan for DRAM production in 1Q18 is to expand its wafer input in 18nm process, which will account for over 50% of the company’s total capacity, allowing Samsung to take the lead among its peers. Meanwhile, SK Hynix and Micron will focus on raising the yield rates and planning the production more efficiently. For both SK Hynix and Micron, the 1xnm process will account for around 30% of their production capacity respectively. 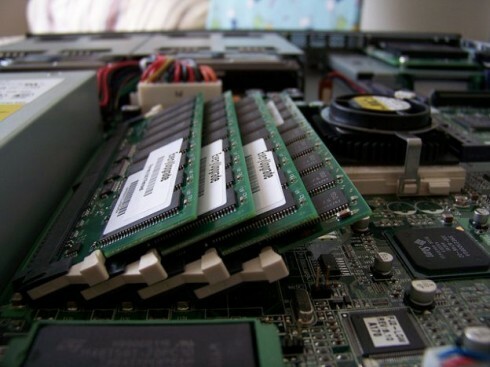 Furthermore, most server makers have been testing the sample products of advanced process sent by DRAM suppliers. DRAMeXchange forecasts the production of 17/18nm process to increase in 2Q18. Efforts from these major suppliers will accelerate the market penetration of high-density server DRAM modules like 32GB DDR4 2666Mhz RDIMM, and the penetration of products of 17/18nm process will probably come to 40% by the end of this year.